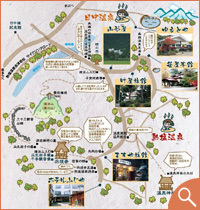 It is said that Atsushio Onsen was pioneered by the Buddhist monk Genno in 1375, after Kukai founded the mountain area roughly 700 years ago. The monk Genno renovated the temple that sat here in ruins and built a new temple, which became the Soto Zen temple Jigen-ji and developed as a training ground for monks several hundred years ago. 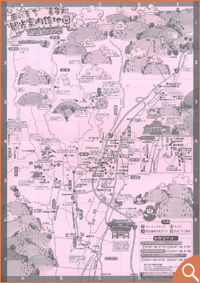 There are several theories as to how Atsushio Onsen was discovered. One theory says that the monk Genno was ordained by the dragon god, who was troubled by a continuous drought and led him to a place where hot water sprang from the ground. Another theory says a giant snake was pregnant and in pain, and when the snake was soothed, water sprung. There is the theory that when he stuck his beloved goosefoot staff into the ground, hot water sprung, and yet another theory says there were two hot springs; a saltwater hot spring and a freshwater spring, but the freshwater spring dried up in a large earthquake during the Keicho period (1596-1615) leaving only the saltwater spring. It is said the monks of that time used goosefoot staffs, but we don't know which theories actually have any validity. The goosefoot staff remains at the temple to this day and every year at dawn on January 4, those at the neighboring branch temples and the parishioners hold a solemn ceremony called "Nyuto-shiki" (bathing ceremony), where they rinse the goosefoot staff with the gushing hot spring and then let it bathe in the water. 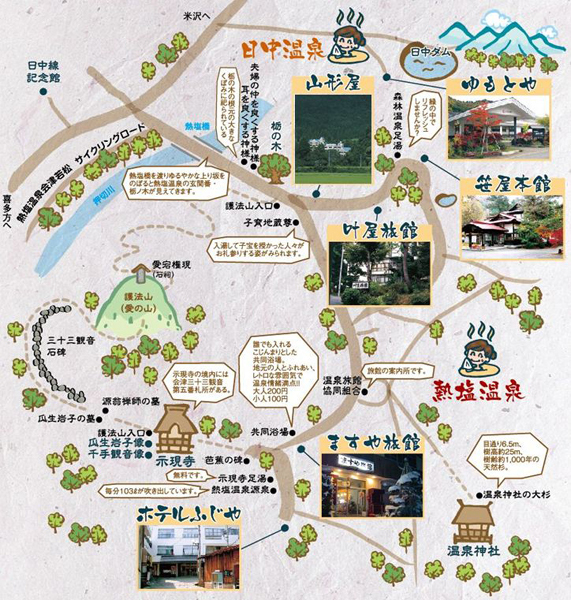 Atsushio Hot Spring is a sodium and calcium chloride spring, and is effective at warming your body from the inside and against gynecological diseases, chronic dermatitis, and gastroenteropathy, among other ailments. It is also called "Kodakara-no-yu" (bath of blessed children). 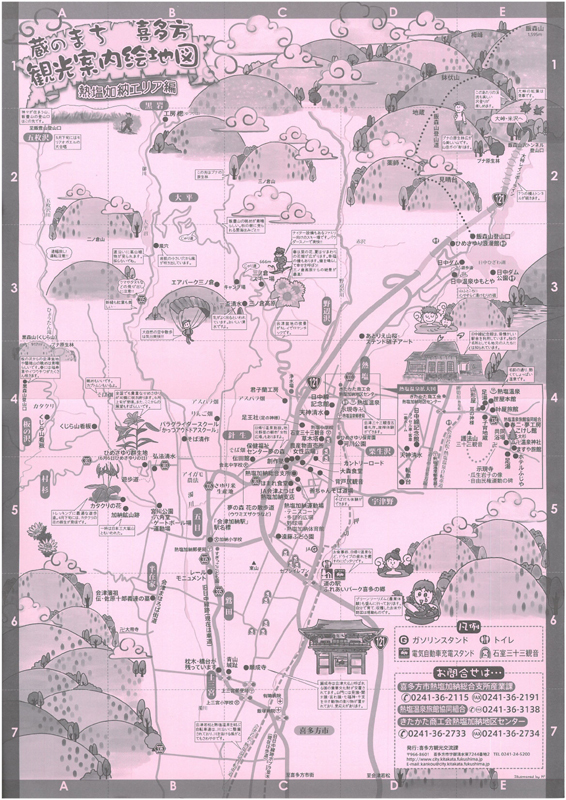 There are jizo statues dedicated to child-rearing at the entrance of Atsushio hot springs, and people who were blessed with children after bathing in the hot pring can sometimes be seen offering prayers of gratitude before them.